Anyone who believes art cannot be rushed should ask senior Traix Heiden his opinion on the matter. This summer, Heiden had the opportunity to travel to New Orleans and help create an opera in just three days. The Opera Presto Project is a unique undertaking that brings together composers, librettists, directors and singers with the goal of producing a completed score of an opera in an abnormally short time. Heiden, a senior music major, discovered the Opera Presto Project on a website for composers seeking contests, workshops and career opportunities. After applying as both a writer and composer to increase his chances, Heiden was eventually selected to write the libretto, a specialized form of script for operas and other extended musical works. It was a natural fit for a student who came to Truman with the intent of pursuing a fine arts degree in either creative writing or music, but the task was not without its difficulties. Although he prefers to write vocal music, Heiden had little experience in the creation of opera, which contains both musically dramatic arias, as well as recitative elements closely related to spoken word. Of the 13 participants in the Opera Presto Project, Heiden was one of only two undergraduates involved. Working in conjunction with a composer, he had from 2 p.m. Thursday until 8 a.m. Friday to complete the 15-minute opera. The finished product, entitled “Persephone,” was then performed at 7:30 p.m. Saturday. While most people are uncomfortable working with short deadlines, Heiden saw many benefits from his involvement with the venture. Heiden plans to attend graduate school after his time at Truman, and eventually hopes to have a career as a professional writer and composer. Because of the positive involvement he had with the Opera Presto Project, he continues to seek other transformative experiences that can aid him in the future. 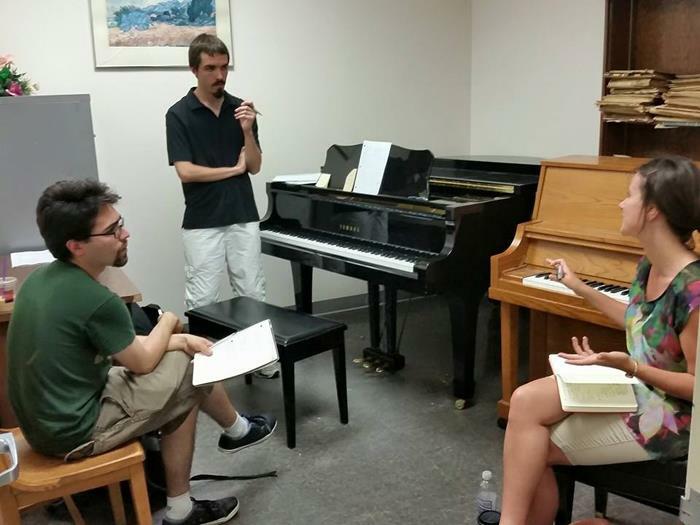 This summer he also attended the University of Missouri-Kansas City Composition Workshop for the second time. He plans to apply for the Opera Presto Project again next year, as well as similar endeavors that will allow for creative collaborations. Traix Heiden (standing) works with Alexander Trice (left) and Monica Pearce during a brainstorming session for the Opera Presto Project. Heiden, a senior music major, was responsible for writing the script of an opera that was created and performed in less than three days. Pickler Memorial Library and the Missouri-Southern Iowa Art Guild (MOSI) are partners in an art exhibition for the second time. 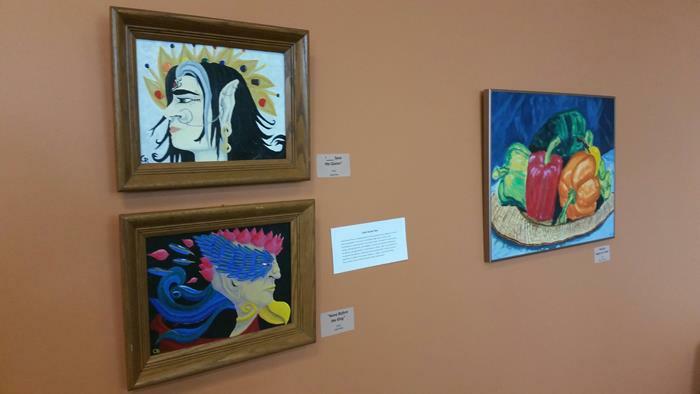 The exhibition, which started Aug. 17 and runs through Dec. 11, is located in the Library Café and features the work of local MOSI artists. Truman students, faculty and staff, as well as the community, are invited to view the exhibit throughout the fall semester. Visitors may vote for their favorite piece at the Library Café through Sept. 24 at 6 p.m.
Everyone is invited to attend a reception from 5:30-7 p.m. Sept. 24 in the Library Café. While enjoying refreshments provided by the University, they will have an opportunity to meet with MOSI artists involved in oil and acrylic painting, drawing, photography, mixed media, 3-D pieces and more. Two winners of Viewers’ Choice Awards will be announced at the reception. The Missouri-Southern Iowa Art Guild (MOSI) is a group of working visual artists formed in 2013. MOSI sponsors local art exhibitions, provides recognition and networking opportunities for members, and conducts art workshops for the community. For more information contact Colleen Wagner, MOSI president, at colleenkw43@gmail.com. The Office of Student Research is accepting Grants-In-Aid-of-Scholarship and Research (GIASR) applications for research and creative scholarship to be conducted during the Fall 2015 semester. Students must be current Truman undergraduates or graduate students and be mentored by a Truman faculty member. 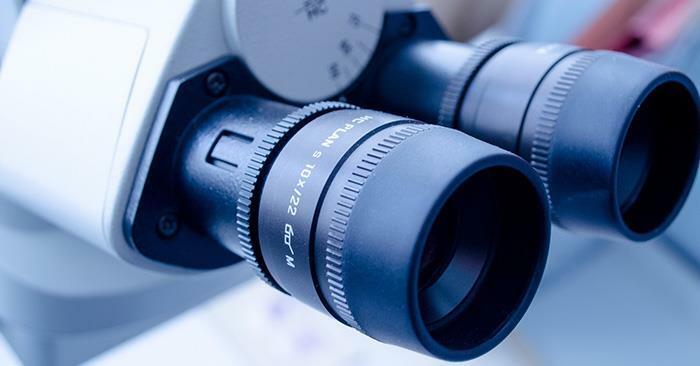 Grant applicants may request up $750 and can cover student stipends as well as supplies and travel to conduct the research. Complete guidelines can be found at the Office of Student Research website. All students that wish to be considered for GIASR Fall 2015 funding should submit applications online at secure.truman.edu/osr-s by 11:59 p.m. Aug. 30. 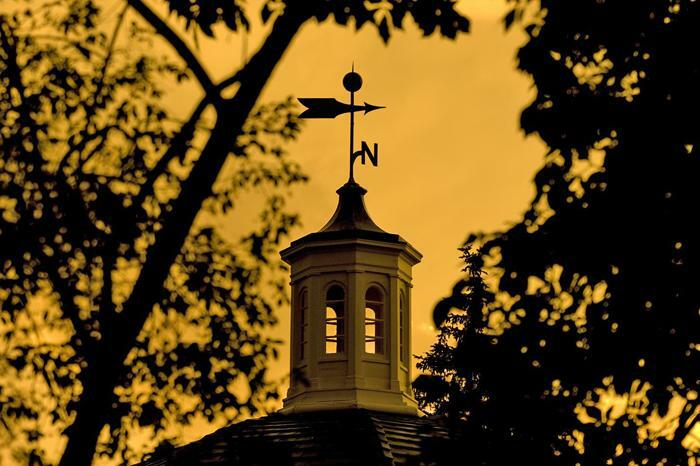 Any questions regarding the Office of Student Research programs can be directed to osr@truman.edu. These collaborative and comfortable seating areas have added large monitors and a connection puck system that allows up to four users to connect and view their devices. These new spaces are located on the second floor, northeast hallway, of Barnett Hall and the third floor, northeast hallway, of McClain Hall. This allows these rooms to be used for lecture/presentation capture, digital annotation of diagrams, digital notes and much more during class. After hours, these same rooms can be used to pre-make mini-lectures and other pre-recorded eLearning content. Rooms with this type of upgrade include PB 3102, PB 3104, VH 1408, VH 1436, MC 210, MC 306, HS 3205 and OP 2210. 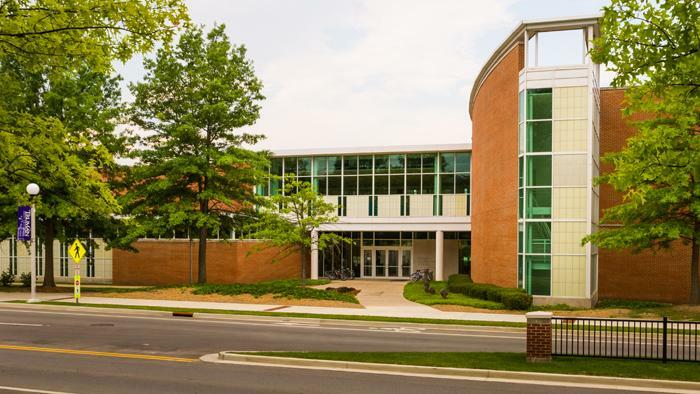 Knowing that Baldwin Hall will be coming offline for renovations next year, it became imperative this summer to update and improve many spaces that have mixed use. This will allow ITS to improve the meeting experience for those groups using these locations, and to accommodate classroom-type use as well. Rooms in this category included VH 2151, VH 2351, MG 3000 and MG 2000. A number of rooms on campus had sound problems. Some were due to environmental noise in their locations, while others just needed improvements to account for large spaces. VH 1000, MG 2090, MG 2050, MG 1090, MG 2005 and MG 2078 all received much-needed updates in this area. Several specialty labs and classrooms received new computers. In the case of BT 1202, all of the aging computers in this lab were replaced. In addition, all classrooms received two reviews for basic maintenance and functionality in order to ward off potential problems in the first days of classes. If there is ever a problem with the instructional technology during a class, call 660.785.4911 so that a technology support specialist can be dispatched to help resolve the issue before too much valuable class time is lost. 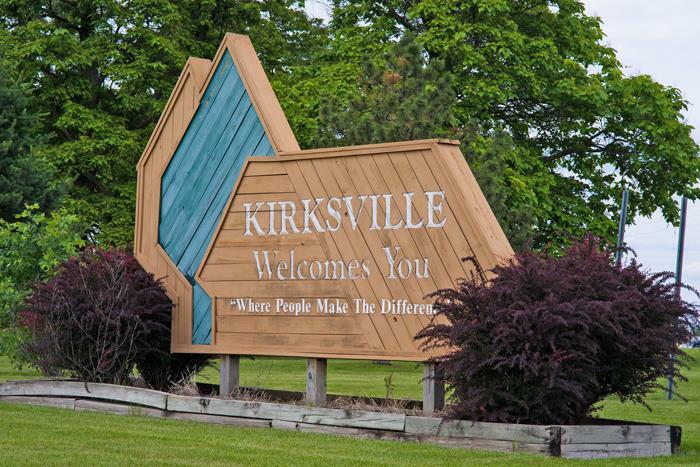 The Kirksville Area Chamber of Commerce Retail Merchants Committee and Kirksville businesses are inviting all new Truman students downtown for a Kirksville welcome, from 5-7 p.m. Sept. 13 on the square. Truman’s chapter of Sigma Delta Pi, the National Collegiate Hispanic Honor Society, was named an “Honor Chapter” for its outstanding activities in 2014-15, the 22nd consecutive year Truman has earned this prestigious distinction. Lucy F. Lee, chapter adviser and national president of Sigma Delta Pi, was been instrumental in earning this national honor that was awarded to only 12 chapters nationwide in 2015. Each May, more than 600 chapters of Sigma Delta Pi nationwide are asked to submit an annual report detailing their numerous activities and projects from the academic year. Based on these reports, the national executive committee chooses approximately 10-15 “Honor Chapters” annually. This recognition is based upon the caliber of chapter projects that reflect the Sigma Delta Pi mission of honoring excellence in the study of the Spanish language, contributing to cultural understanding and upholding the goals of the society. The Truman Clarinet Choir has been selected to perform at the Missouri Music Educators Association 78th Annual In-Service Workshop/Conference. One of only two small collegiate ensembles invited from throughout the state to perform, the clarinet choir concert will take place at 1:45 p.m. Jan. 28 at the Tan-Tar-A Resort in Osage Beach, Mo. 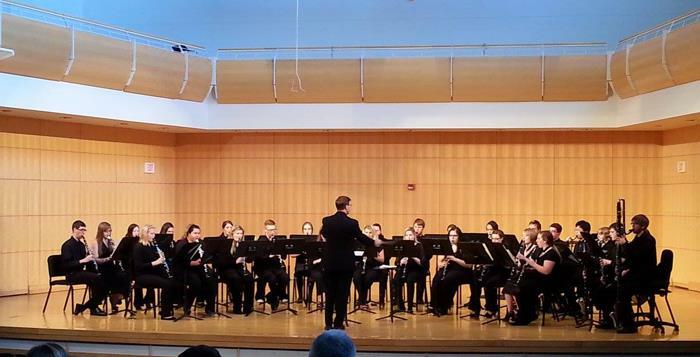 Directed by Jesse Krebs, associate professor of music, the Truman Clarinet Choir is comprised of 28 student clarinetists playing literature specifically composed for clarinet choir, as well as transcriptions of well-known works by composers. The group has also commissioned and premiered new works, including “The Shaman Speaks” by Dr. Vivian Fung in 2009. The Truman Clarinet Choir has traveled the country for decades to perform — from the 1965 New York World’s Fair and the 1967 Canadian World Exposition in Montreal, to the 2012 Missouri Music Educators Association Conference, the 2012 Buffet/Vandoren Clarinet Ensemble Festival, and the 2013 Music Teachers National Association Conference at the Disneyland Resort. The ensemble also regularly performs for the community, including concerts at local elementary schools and assisted living centers. This year’s ensemble boasts 17 former All-State clarinetists and is comprised equally of music majors and non-majors. Their upcoming MMEA concert will include a concerto performance featuring three accomplished Truman alumni: Lynn Seward Fryer, Cindy Price Svehla, and Luis Adolfo Víquez Córdoba, as well as a performance of an arrangement done by current Truman student Kyle Rieger. The choir will perform a pre-MMEA concert at 6 p.m. Jan. 25 in the Ophelia Parrish Performance Hall. Truman has implemented TouchNet Mobile capabilities when students are paying online via TruView (Student Tab, Student Finances, click Student Account Suite) or when parents are paying online at mybill.truman.edu. This will allow the screens to better fit any mobile device being used to make a payment, view the eStatement, etc. 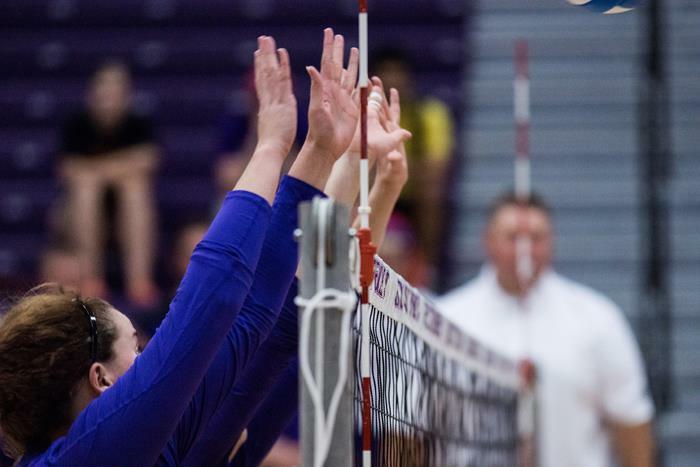 The Truman volleyball team is once again hosting a free clinic for all students from kindergarten through eighth grade at 6 p.m. Aug. 28, in Pershing Arena. Open to both girls and boys, the 2015 Bulldog squad and coaching staff will work with local youths on volleyball fundamentals for one hour. Then, at 7 p.m., the team will compete in its annual purple/white intrasquad scrimmage, which is open to all members of the public. Following the match, there will be an autograph sessions for fans with free team posters of this year’s squad. For more information, contact assistant coach Megan Wargo-Kearney at mwargo@truman.edu or at 660.341.9610. No advance sign-up is required; simply come to Pershing Arena with a completed copy of the registration form and proof of insurance. The freshman parking permits were be included in the residence hall check-in packet if the registration form was completed prior to Aug. 1. Late registrations, commuter parking permits and upperclassman parking permits will be processed and distributed from Parking Services Office, General Services Building 100, Building No. 14 on the campus map. The Parking Services phone number is 660.785.7400. 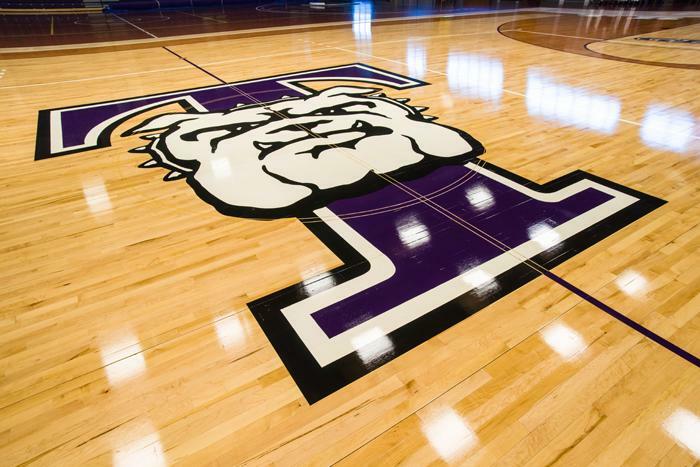 The Truman Women’s Basketball program will conduct a Coaches Clinic Aug. 23 in Pershing Arena. The clinic is open to all boys and girls coaches of all levels and will feature guest speakers for both the collegiate and high school level. Cost of the clinic is $25 per coach, or a staff of three or more will pay $60. The clinic will begin with registration from 8-9 a.m. and will include a break for a provided lunch and a social at the end. Interested coaches can send in the registration form or contact assistant coach Adam Tandez at 660.341.9611 or atandez@truman.edu with any questions. The Truman baseball coaching staff will host a Fall Prospect Camp Sept. 13 at the Truman Baseball Field. The camp is limited to 60 campers between the ages of 15-18. Head coach Dan Davis and assistant Zak Larkin will instruct and evaluate campers on pitching, hitting and defense through pro-style tryout and primary position drills and live games during the day that will run from 10 a.m. to 5 p.m.
Of the 60 spots available, 24 are reserved for pitchers, 28 for position players and eight for catchers. Cost is $100 per camper with sign-ups ending Sept. 9. Sept. 27 is the rain date for the camp. 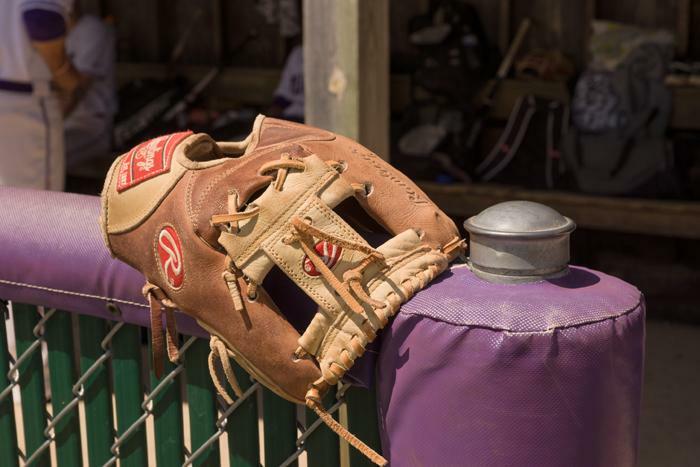 For more information, contact Dan Davis at dandavis@truman.edu or call 660.785.6003 or visit trumanbaseballcamps.com. 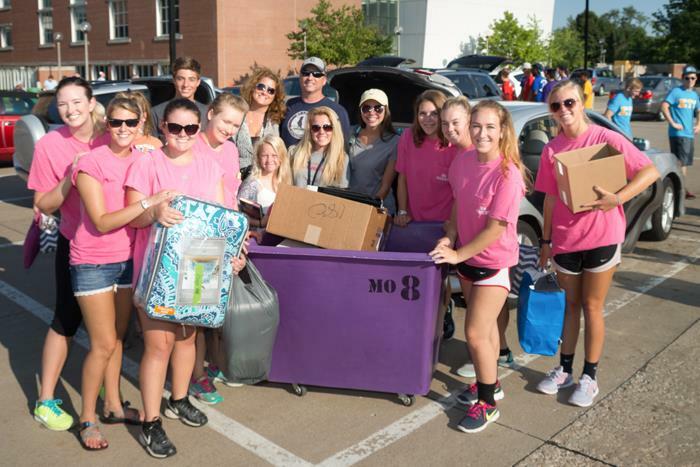 The following organizations, students and University employees volunteered during Move-In Day, Aug. 15. Student Affairs would like to thank the following organizations, students, staff and faculty for volunteering to assist with the freshmen welcome picnic, Aug 16. The next issue of the Truman Today will be available Aug. 31. Tom Capuano, professor of foreign language, along with the other members of the Sciéncia.cat research team centered in Barcelona, were awarded a three-year grant from the Spanish government (Ministerio de Economía y Competitividad) for their proposal “Vernacular science in the Crown of Aragon and its Romance context (13th-16th centuries).” Sciéncia.cat is dedicated to researching the sciences in Catalan culture in the Middle Ages and Renaissance. The full description of the grant can be found at sciencia.cat/english/projectsenglish/pcurrenteng.htm. Jesse Krebs, associate professor of music, has been invited to perform a guest recital and give a clarinet master class at the Royal Irish Academy of Music in Dublin, Ireland, Oct. 13. He will be performing a program of American clarinet music, including the “Clarinet Sonata” by Daniel Gregory Mason, “Theme and Absurdities” by Derek Bermel, and “Grooves for Clarinet and Piano” by Philip Parker. He will also be performing this program on Truman’s campus with pianist Nancy Hueber at 2 p.m. Sept. 20 in the Ophelia Parrish Performance Hall. Truman student Destiny Reed was named the 2015 Missouri State Fair Queen in an Aug. 15 ceremony. Reed was among 55 contestants competing in the two-day event. She will serve as an ambassador for the State Fair and Missouri agriculture throughout the coming year. She also receives a $1,500 scholarship. Kevin White, assistant director of athletics, was recently appointed to the NCAA’s Playing Rules Oversight Panel. White will begin his four-year term on the NCAA’s association-wide panel Sept. 1. The Playing Rules Oversight Panel (PROP) has 12 members, including six from Division I, three from Division II, and three from Division III. The three Division II PROP members are comprised from the Championships Committee (one) and two at-large selections. The PROP maintains oversight of the Playing Rules Committees, which includes approving rules changes made by each of the 15 committees annually. In addition, the committee provides supervisions for the sports for which the NCAA does not write playing rules. The Truman Athletics Communications office is now represented on two national committees, as White joins Tyler Madsen, assistant director for athletics communication, who is currently serving a four-year term on the NCAA Div. II Baseball national committee. This $10,000 scholarship is open to students attending an accredited post-secondary institution by the fall of 2016 at the latest, and who are enrolled or planning to enroll in a program that is at least two years in length. Deadline to apply is Aug. 31. Click here for details. Fantasy Sports Daily is offering two ongoing scholarships per year, valued at $1,000 each. These scholarships are designed to help students who demonstrate a strong aptitude for higher learning, have a drive to improve themselves and a desire to improve society in general. Winners will be determined by the Fantasy Sports Daily executive team each spring and fall semester. The fall 2015 scholarship award is currently available and open to all eligible students who apply online at fantasysportsdaily.com/scholarship. Any college level students that will be attending school in fall 2015 in the United States is eligible for the “Love Your Career” scholarship, being offered by Jones T-shirts in the amount of $1,000. The deadline for this scholarship is Sept. 7. Click here for details. To be eligible for the $500 scholarship, students must: be enrolled in full-time studies at a college, trades or technical school by no later than September 2015; be currently residing in the United States and intend on continuing studies in the United States; and complete the online application no later than Sept. 15. This scholarship is open to all students enrolled in accredited academic institutions, and high school seniors who are enrolling upon graduation. Students of all majors and intended majors are welcome to participate. Applicants must be residents of the United States and at least 16 years of age. Awards will be sent directly to the financial aid office of the institution of the finalist’s enrollment. Click here to apply. To apply for this scholarship, students must: be between the ages of 16 and 25 on Sept. 30, 2015; submit answers to the essay questions, which can be found on the application page, prior to the Sept. 30 deadline; have at least one full year of post-secondary studies remaining at the time of the award (current high school students are also eligible); and have a GPA of 2.5 or greater.